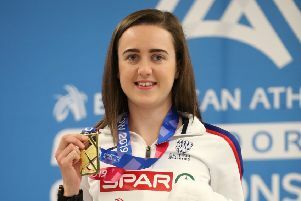 Women will be able to compete in a range of events at Scotland’s Highland Games after organisers gave in to pressure by campaigners to promote a gender balance. generation which took the world by storm. 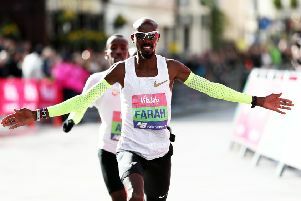 Icons in an era when top-class athletics captivated millions and was as much an ingredient in the weekly soap opera diet as Coronation Street or Emmerdale. 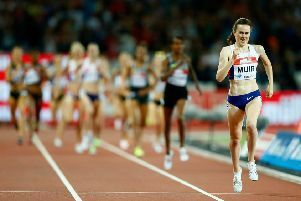 Golds, and resolute dominance, are becoming Laura Muir’s stock in trade. Records too, of which she now holds a decent clutch. History, genuine inscriptions in the pantheon of track and field, are rare and maddeningly difficult to obtain. 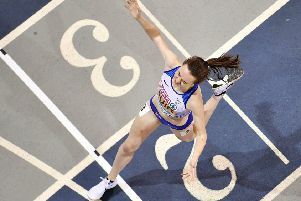 Yet last night in Glasgow, inside the building where she frequently trains, the Scot became the first athlete in the half-century’s existence of the European Indoor Championships to acquire a pair of titles at successive editions. An unprecedented double-double. New ground indeed. Raised in West Linton, schooled in America, redeemed in Glasgow. 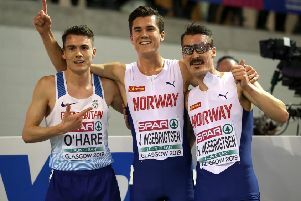 Chris O’Hare has known great nights and tough days through a career that has garnered major medals and big wins but also the pain and angst of dreams unfulfilled. 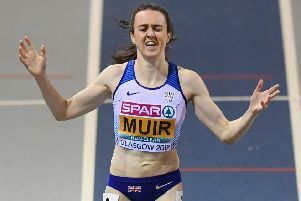 This might, says Laura Muir, be her finest hour. 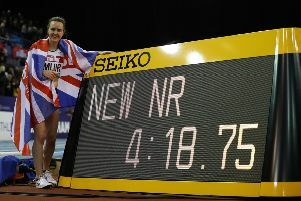 A third European Indoor Championship gold, a fourth major title, but the first on home soil. 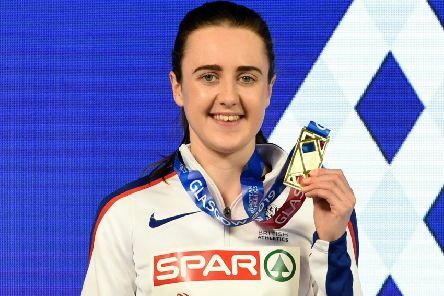 Hidden beneath a knitted beanie, Laura Muir glided anonymously through the lobby of a Glasgow hotel yesterday, keeping a low profile, eyes solely on the prize. 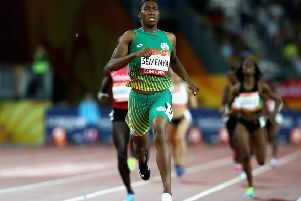 Even though the 25-year-old has grown ever more accustomed to the spotlight with each passing athletics season, there is a sense she would much rather let her glorious running speak pointedly for itself. 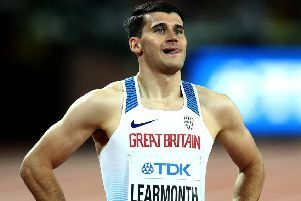 Guy Learmonth once had grand illusions of being a talismanic captain of his country when an important occasion was about to take place on Scottish soil. This weekend, the 26-year-old finally gets his wish. Growing up in the Borders, this was not quite as he imagined when he was launching a ball around in the company of childhood chum Stuart Hogg. 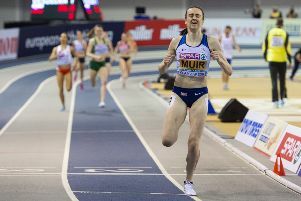 Laura Muir isn’t just hoping to complete an historic double-double at this weekend’s European Indoor Championships. She’ll expect it. 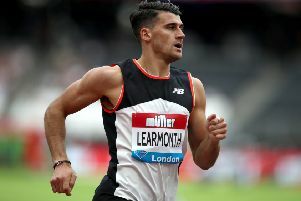 Scottish 800 metres runner Guy Learmonth will captain the Great Britain & Northern Ireland team at this weekend’s European Indoor Championships in Glasgow. 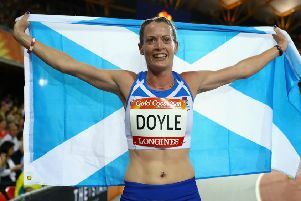 Eilidh Doyle admits her heart ruled her head when it came to mapping out plans for 2019. 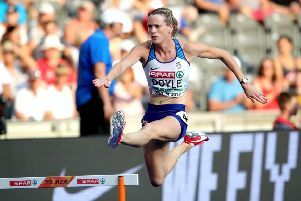 Eilidh Doyle may have captained the British team and won medals at all the sport’s major championships but, as she prepares to pull on the GB vest at next weekend’s European Indoor Championships in Glasgow, the Scot has been disappointed to discover that British Athletics no longer have faith in her. 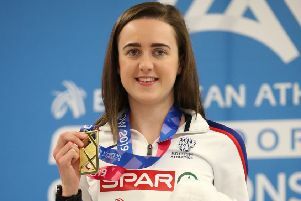 Sporting the yellow colours of Kilbarchan Athletics Club for the very first time yesterday in tribute to her Paisley-born mother, Steph Twell wanted to commemorate the occasion with a performance worthy of the vest. 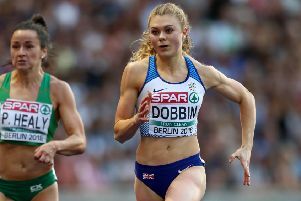 The family has long been based in southern England, where the two-time Olympian was born, but the Caledonian roots remain entrenched in the soil. 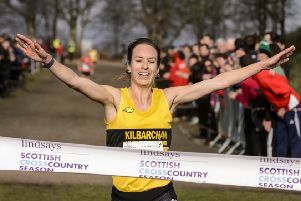 And in the mud of Falkirk, Isobel’s daughter did her proud by claiming the Scottish cross-country title on her maiden appearance at the event. 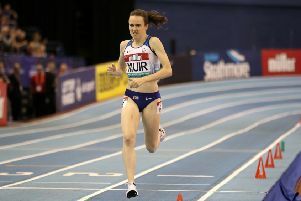 The IAAF has not received any complaints about the shoes Laura Muir was wearing when she broke the British indoor mile record on Saturday but the governing body said it would investigate if concerns are raised.